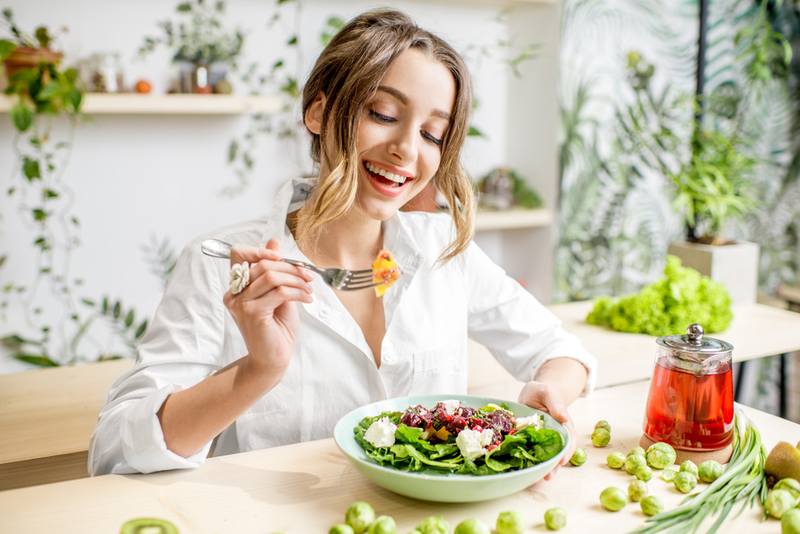 Though many health conscious and environmentally conscious individuals want to try vegetarianism, many of them don’t know where to start, or worse, how to sustain their new lifestyle choice. Often this is a question of proper nutritional intake or a perceived lack of options. If this sounds like your situation, continue reading for advice on surmounting those obstacles. And remember—Healthy vegetarianism doesn’t have to be difficult. Combining rice and beans in a meal will yield a complete amino acid chain, which is not only perfectly nourishing but also curbs hunger. Quinoa, sorghum, amaranth, teff, spelt, and kamut, all grains or seeds that can be prepared like grains, contain eight or more grams of protein per cup. Lentils, an ingredient that can be found in such diverse recipes as soups, Indian dal, salads, alternative hummus, crunchy trail mix, weigh in at eighteen grams of protein per cup. Tofu, seitan, and tempeh are all derived from soybeans, but the less-famous seitan and tempeh are more nutritionally dense than tofu is. A 3 oz. serving of seitan has the same protein content as a 3 oz. serving of beef. Tempeh is similar, though in 4 oz. servings. There has never been an easier time to be vegetarian because of all of the varieties of protein powder. Health-conscious stores like Whole Foods feature an entire section for protein powders alone, and options are bountiful on Amazon and on individual brands’ websites. Walmart often carries protein powder options, as well. The contemporary market features proteins that come from a variety of sources, including hemp, pea, mixed vegetable, rice, and soy for vegans, and whey, casein, and egg for lacto-ovo vegetarians. Numerous brands include Orgain, Vega, Growing Naturals, Hammer Nutrition, Nutiva, Glutamine, Garden of Life, Sunwarrior, Clean Lean Protein, Yuve, and ALOHA. Some brands even feature an array of flavors, from vanilla to peanut butter, matcha, cookies ‘n cream, and unflavored. Each may support consumers differently and should be chosen according to the individual’s goals. 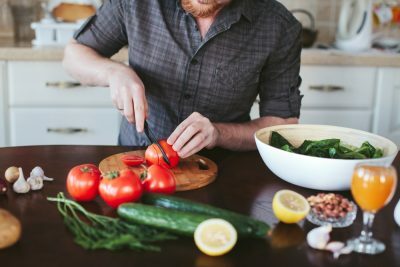 Happy, healthy, and successful long-term vegetarians need to be good cooks. And if they aren’t already good cooks, it would benefit them to start. If this sounds intimidating, rest assured that all you really need to know is how to cut up and fry an onion and some garlic, and you’ll already be on your way. You might have read the above cooking instructions and thought, “Who has time to cook from scratch?” In truth, virtually everyone has the time. The secret is cooking in bulk. Preparing one serving of lentils is just as easy as preparing five, so throw in extra broth and raw lentils so that this staple is readily available when it’s time to cook. If a recipe calls for half an onion, cut up the entire onion and keep half in a Tupperware container in the fridge until it’s time to fry it up. If your schedule allows you to cook on Sundays, you have the opportunity to cook a large pot of mujadara lentils, for example, and refrigerate or freeze in serving-sized quantities to be quickly reheated later. This means that when hunger strikes, and time is limited, it’s more likely that you will turn to healthy options instead of the undeniable inconvenience of junk food. Willpower is its most elusive when needs haven’t been recently met. If you eat before you go grocery shopping, you will be much more likely to eat according to your goals. Oftentimes, the most influential battleground in determining whether a diet or lifestyle will be successful is the grocery store. Be aware of alternative vegetarian supplements. Reluctance to consume fish oils or fear of heavy metals doesn’t necessarily mean nutritional deficiency, for example, as the market has become aware that there is demand for vegan alternatives to fish oils. Unlike twenty years ago, it is possible to go vegan or even vegetarian without missing out on many of life’s joys. Over the last few years, food companies have figured out how to make dairy-free and even soy-free ice cream that tastes and feels like normal ice cream. Brands like So Delicious, Nada Moo, DF Mavens, Double Rainbow, Frankie & Joe’s, Snow Monkey, Luna & Larry’s, Halo Top Creamery, Van Leeuwen, Häagen-Dazs, Ben & Jerry’s, Tofutti, Trader Joe’s Soy Creamy, Breyer’s, Almond Dream, and Steve’s Ice Cream all have something to offer the vegan ice cream lover, and their combined flavor count far exceeds one hundred. It used to be that the only alternative to a hamburger patty was a soy-based one made to approximate the original thing, but times have changed. Patties don’t have to remind the people who are eating them of the foods they are intentionally and specifically avoiding. These days, vegan patties can taste like anything. 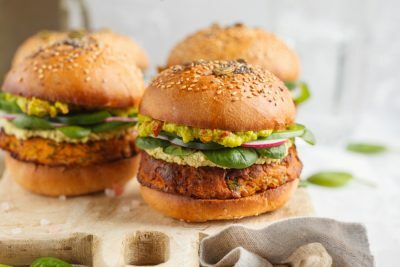 The veggie burgers that resemble meat still exist, but there are also alternatives from companies like Dr. Praeger’s that take the idea of a patty and run with it. Dr. Praeger’s patties include the more standard All American and California Veggie Burgers, but also Kale, Super Greens, Black Bean Quinoa, Mushroom Risotto, Heirloom Bean, Korean, Tex Mex, Bombay, and Asian veggie burgers. In addition, they offer two pescatarian-friendly burger options. That’s fourteen options from one brand, and that’s not the only brand available. Vegetarians have far more flexibility now than their predecessors did. Bean-based pasta has also entered the market. For far fewer calories and far less starch, the modern grocery shopper can buy beans made not with flour or corn, but with pasta. The texture of this pasta is often different from that of generic pasta, but there are enough options that any open-minded vegetarian will find one to suit his fancy. This is another way to up protein intake while avoiding animal products. Some more traditional brands have caught on and begun to fortify their pasta and create healthier alternatives to their white pasta options, but it’s hard to beat pasta made entirely out of lentils, chickpeas, black beans, red beans, or soybeans.